If your office is anything like mine, you’re likely drowning in paperwork, files, folders, and post-it notes. Perhaps one of your New Year’s resolutions is to get organized and create a system to stay on top of everything. Can you relate? Well I have good news. 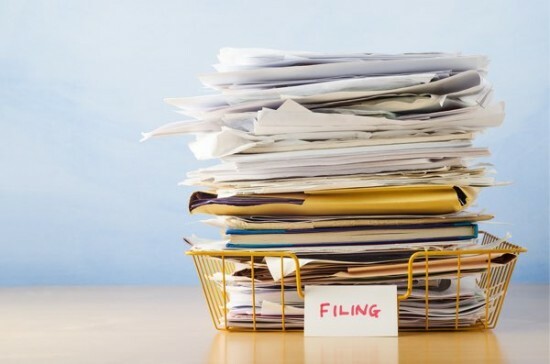 Below are five ways to finally gain control of the paperwork clutter by going digital. But in case you’re not already convinced, here are some of the benefits that going paperless provides. Costs less money. Once you calculate in the price of paper, ink, folders, labels, file cabinets, and all the other office supplies that go with it, you’ve probably hit several thousand dollars worth of storage needs. If your business operates with large quantities of paperwork, you may even need extra storage space for boxes and cabinets forcing you to rent a separate building. Frees up space. Imagine how much space you’d gain if everything in your office was digitally stored. Now imagine how much more brainspace you’d have too! Paperwork occupies nearly every available surface, and the above-mentioned file cabinets and storage boxes can take up even more space. Do yourself a favor and go paperless! Saves time and energy. How many times have you misplaced a bill, contract, or statement? And then how long did it take you to find it, and how much time did you waste in the process? Having an organized paperwork system in place will save you loads of time and energy, leaving your schedule open for more enjoyable things. Offers more protection. Important forms like tax returns, business reports, and personal information are too sensitive to leave in physical form. It’s all too easy to find yourself the victim of identity theft, and digitally storing your important files offers much more protection and security. Now that you see how much time, energy, money and trees you can save by going paperless, take these next steps to implement a successful system. Running a business means being mobile and having access to documents, files, and other information for meetings or conferences. For this reason, there are numerous smartphone apps that allow you to scan papers on the go. Evernote offers a new extension to their impressive software with the release of Evernote Scannable. It works in conjunction with the ScanSnap program so you can scan anything (via wifi) from business cards, to documents, to graphs. These will then get integrated into your Evernote account, and can be organized, tagged, and referenced at a future date from any device. Another one of my favorites is the Scanner Pro app available for iPhone and iPad. You simply take a picture of your document or card and save it to your Dropbox, Evernote, or Google Drive account. This makes it a lot more accessible versus having to carry around a piece of equipment to scan each document. That’s a lot of printing, scanning, and wasting of not only paper but time! Thankfully, there are some simple applications available (like Bidsketch) that allow you to digitally sign important documents and contracts — even with multiple signatures. SignEasy is a mobile phone app that I use to fill out year-end tax information, sign freelance contracts, and verify important client details. I simply save the document or PDF from my email to my SignEasy account, and then electronically sign it. Once complete I save it to my SignEasy account that integrates with my Dropbox account. It will also email a copy of the signed doc to my inbox. It’s available for Apple, Android, and Blackberry products. If you’re not a fan of signing everything on your mobile phone or tablet (since the screen is a lot smaller) HelloSign offers many of the same options but using a web application and your Gmail account. So you don’t have to switch over to your phone to digitally sign papers. In my opinion, one of the worst paperwork offenders is bills and statements received in the mail. Not only does it clog up your mailbox (and possibly requires you to pay for a business box) but overruns your desk with mail, envelopes and papers. It’s likely that you’ve even missed a payment deadline or two, because the statement was misplaced under a pile of other paperwork. Simplify this process, and save yourself some money, by signing up for paperless billing. Log into all of your online banks and utility accounts to request the paperless billing option. Instead of receiving your bills in the mail, you’ll receive them in your inbox which you can promptly save to a file for payment. Additionally you can print out the statement if needed, but it will be on your terms, instead of overflowing your desk every day. A few of my favorite bill-paying and filing apps include the Mint Bills and Prism Money. Another huge aspect of running a business involves client and vendor profiles, invoicing, and accounting. 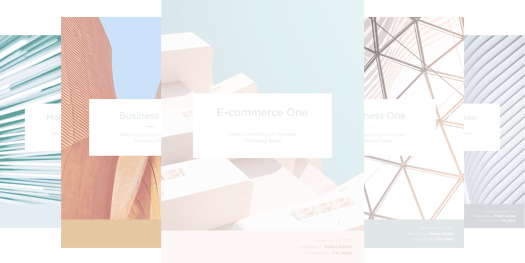 All of which come with multiple reports, project tracking needs, and personal information. The best place to house all of this is through online invoice and accounting software, such as FreshBooks or QuickBooks. This saves you from printing out invoices and physically mailing them each month, which provides a quicker turnaround for getting paid. These programs offer integration with Windows or Mac, as well as mobile apps for on-the-go organization. You can snap images of receipts, clock your time for projects, and record client information easily. Additionally, you can share your account with a trusted accountant who can prompt monthly and yearly reports to be emailed for safe keeping. No more printing out sensitive information or having to email secure numbers pertaining to your business. If you don’t have time to personally scan each document, consider batch-scanning boxes by mail. Neat offers a bulk scanning service for up to 500 pages for $90, which includes shipping and processing. All of these will then be saved into your Neat account that you can access online or via their mobile app. If you don’t have a Neat account, try DocuFree which will pick up your boxes full of paperwork and scan them however you like. They will convert them to PDFs, store them on a CD or online, and return the originals to you (or shred them if you prefer). Depending on the amount of documents you have, will determine the total cost. Make good on your goal to streamline your work process, find a document filing system that works, and never be late on your bills again, by embracing the power of digital organization. Use these tips to create a more productive workspace this year.